A sweeping drive from an elevated first tee to the left of the clubhouse is the start of one of golfs most memorable rounds through an exceptional Surrey heathland course. Designed by Harry Colt the course opened for play in 1909. 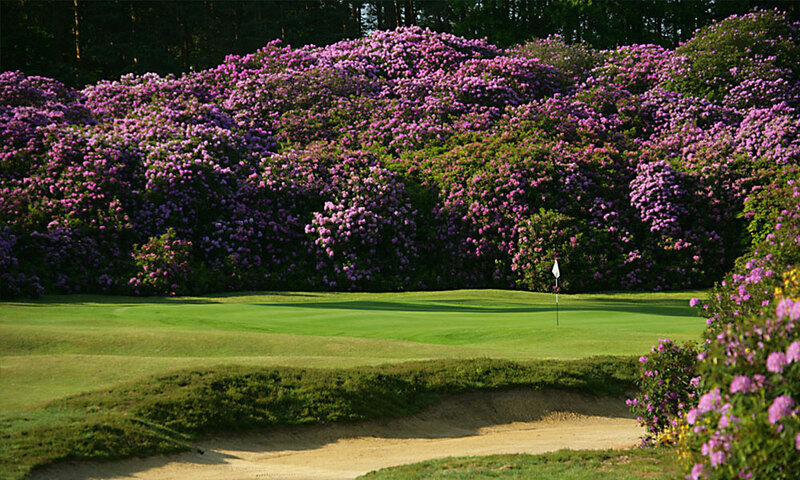 Tranquil, exclusive with few members and fewer golfers so the course remains in immaculate condition all year, it is a truly picturesque venue, especially when the rhododendrons offer a mass of colour in spring. Perfectly manicured fairways, fast greens, five excellent short par threes that bring all the clubs out of the bag, a profusion of heather to tangle clubs make playing Swinley Forest a great golfing experience for those lucky enough to be invited. Not long, 5,751 yards par 68, the only par five is the 480-yard fifth and the longest par four is the 430-yard 15th.